I'm really looking forward to this year, it feels like really good things are gonna happen and i'm excited to see what adventures lie ahead. 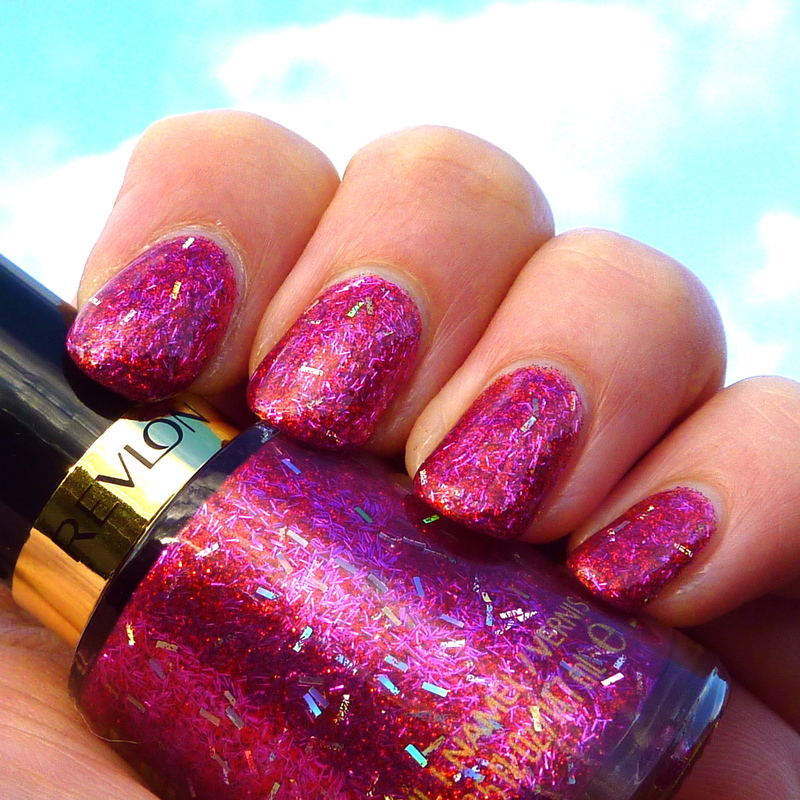 I decided that the first polish on my nails in 2013 would be a very special one, and that special polish is Revlon's Ruby Ribbon, a little Revlon fairy sent me a parcel full of Revlon goodies and it was the best early christmas present I could have wished for as I was lusting after Ruby Ribbon like you wouldn't believe. Ruby Ribbon is a limited edition, in the UK the only way to get one was through an offer at Superdrug, but it is available to buy in stores in the US. 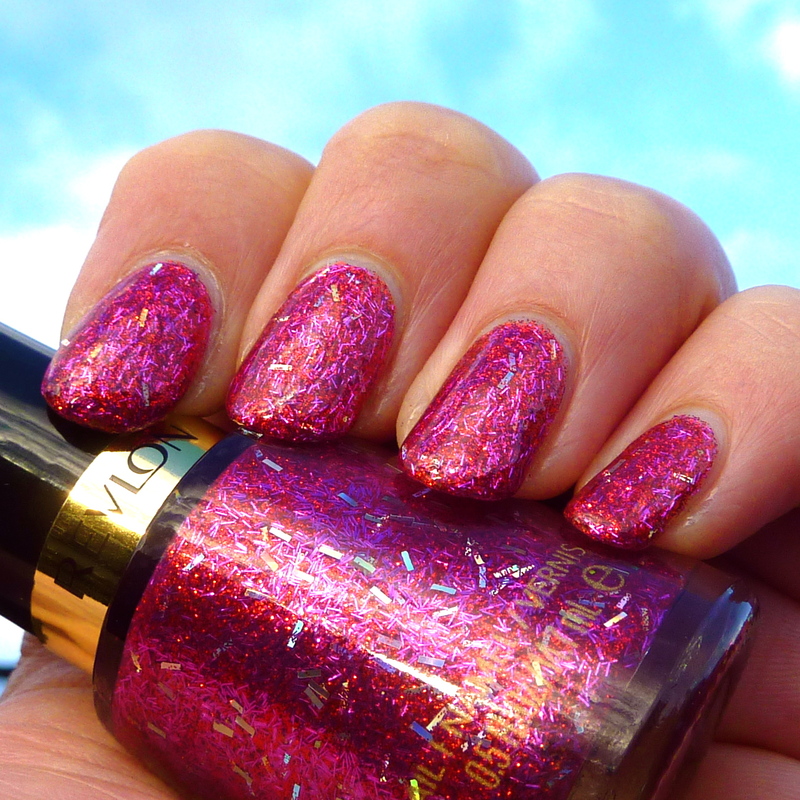 It's a stunning mix of red glitter, fuchsia mini bar glitter and holographic bar glitter. I used two coats of Ruby Ribbon and a thick coat of top coat as it's gritty feeling otherwise. My photos aren't the best, I took these photos outdoors when it was cloudy and I just couldn't capture just how lovely this looks in real life. 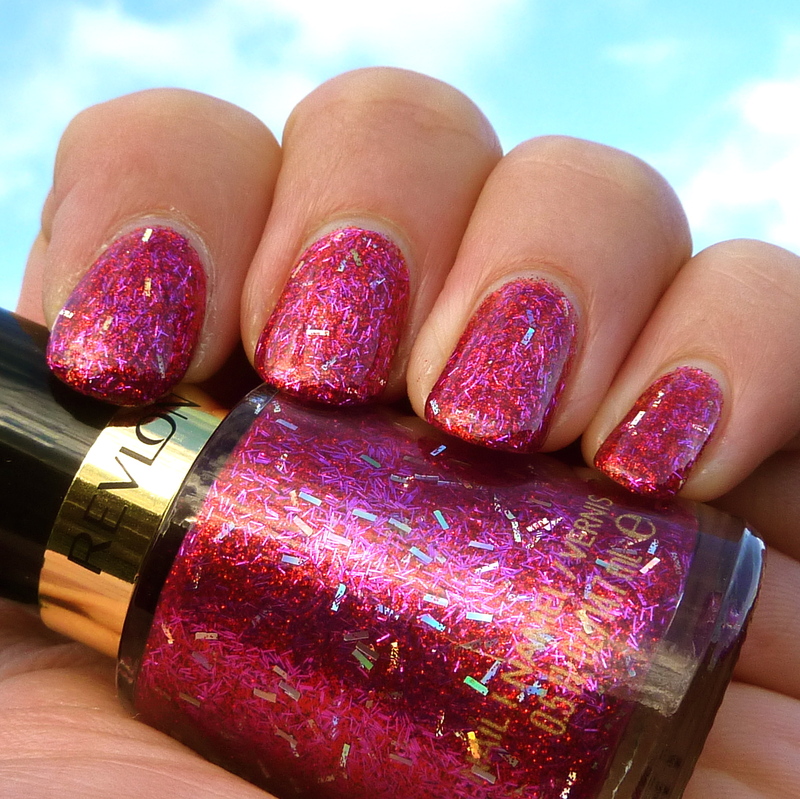 In general it looks like a bright fuchsia glitter, then you'll spot the holo bar glitter catching the light. In my photos you can see the composition of the glitters, but on your nail it's not so easy to see, the red and pink mix together. 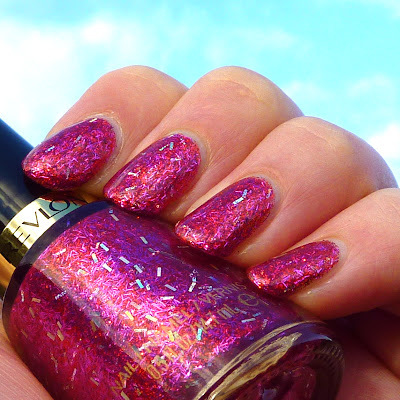 Did you manage to pick up a bottle of this, and do you love it as much as me?